Make the most of in-season strawberries with this delicious (and simple!) 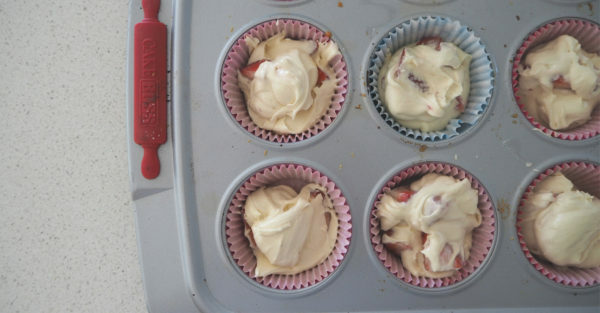 strawberry cupcakes recipe. 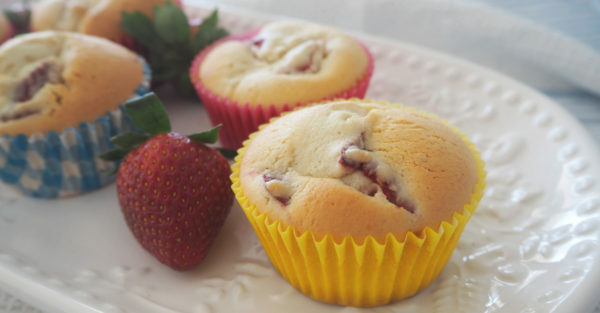 These strawberry cupcakes can also be frozen, making them great for children’s lunch boxes. Step 1. Preheat your oven to 180°C and line a 12 hole muffin tray with paper cases. Step 2. 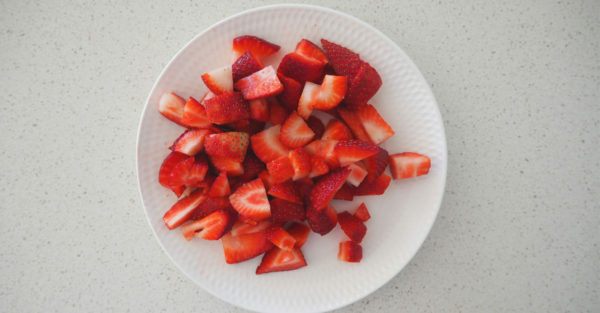 Roughly chop your strawberries and set aside until needed. Step 3. Place the softened butter, caster sugar, self raising flour, milk, vanilla extract and eggs into the bowl of an electric mixer and mix on a low speed for 1 minute or until the mixture has just combined. Increase to a medium – high speed and mix for a further 2 – 3 minutes or until the mixture is pale and smooth. Step 4. 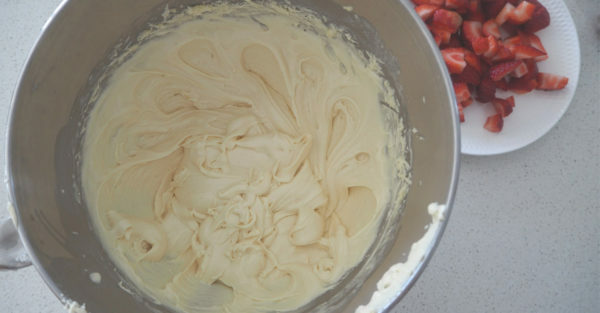 Remove the bowl from the mixer stand and add the chopped strawberries. Gently mix through before dividing the mixture between the prepared paper cases. Step 5. Bake the strawberry cupcakes for 18 – 20 minutes or until cooked through when tested with a skewer.